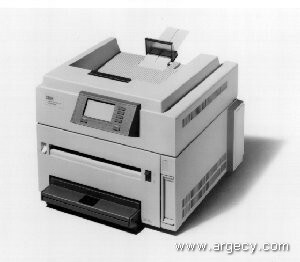 The 4039 IBM LaserPrinter Model 12R plus comes with 4 Mb of memory, expandable to 16Mb. The printer engine speed of the Model 12R plus is up to 12 pages per minute. A 250-sheet output bin is standard. The IBM 4039 LaserPrinter 12R is redefined as the IBM LaserPrinter 4039 12R plus* which includes several enhancements at no additional cost. These enhancements provide the customer with the latest level support for PCL5 and PostScript 2 emulation. A new bi-directional set-up utility, MarkVision**, allows the customer to set-up and monitor the printer from a Windows** workstation in a Novell** NetWare** environment. Included also is expanded memory through a new 4MB flash memory option. No change is made to the machine type and model. The manufacturing part number, however, has been changed. The upgrade kit allows customers with an existing 4039-12R to include the software enhancements and bring their printer to the plus level. The kit is required for the addition of the 4MB flash memory to existing 4039 12R. The IBM LaserPrinter 4039 12R plus features speed, up to 12 pages per minute for dramatically improved throughput, the ability to add duplex capability, and broader connectivity than the 4029 series of IBM LaserPrinters. A PostScript** Level 2 interpreter with 39 Type 1 outline fonts, 2MB of memory, enhanced PCL5, and true 600 x 600 dots per inch (DPI) meet user needs for broader functions as standard features on a compact desktop LaserPrinter. The 4039 12R plus is designed, through integrated network adapter options, for attachment to Token-Ring** and Ethernet** local area networks, and networks with the Appletalk** Network Interface. In addition, direct attachment, via parallel or serial, can be made to IBM Personal Computers, RISC System/6000s and Apple Workstations. The 4039 12R plus offers Print Quality Enhancement Technology (PQET) for extremely sharp text and graphics and can print on a variety of paper types and sizes as well as on transparencies and labels. A 200 sheet (20 lb) automatic sheet feeder, a 250 sheet output tray with a full tray sensor, and a manual feed tray are standard. A parallel cable is included with each printer shipped from IBM. The IBM 4039 12R plus provides customers with an affordable solution for printing professional looking text and graphics using the industry standard PostScript Level 2 emulation and enhanced PCL5 emulation. The many resident scalable fonts and optional font capability with expanded flash memory enhance the appearance of the user's documents. New printer drivers and an enhanced Printer Toolkit make downloading to flash memory easier than ever. With the increased capacities offered with the new optional 4MB flash memory the user may store more resources in the printer and spend less time downloading fonts and macros with each print job. The IBM 4039 12R plus is designed for fast, easy setup. The printer comes pre-assembled with print cartridge and paper tray already installed. A complete startup kit contains easy-to-read instruction manuals and information necessary to be up and running quickly. A Printer Setup Utility and drivers for several popular software applications are also included. Automatic Emulation and Mode switching is standard in the IBM LaserPrinter 4039 12R plus Printer. This is especially important in a LAN or other shared environment. Standard outline fonts are Courier, Times Roman**, Helvetica**, and Helvetica Narrow, ITC Avant Garde Gothic, ITC Bookman, New Century Schoolbook, Palatino**, and ITC Zapf, print quality enhancement technology (PQET), a user friendly 4x20 character LCD operator panel, multiple resolution print quality capabilities, 300 DPI and 600 DPI standard and versatile paper handling options are some of the basic functions of the IBM 4039 LaserPrinter 12R plus. The IBM LaserPrinter 4039 Series 12R plus Printer is an additional product to the IBM 4029 LaserPrinter Series family. The IBM LaserPrinter 4029 Series are compact desktop letter quality printers which use non-impact laser electrophotographic printing process. * Duty cycle up to 35,000 pages per month * Acoustics: 50 dBA printing 33 dBA idle * Operating Clearance: The printer requires 152 mm (6.0 inches) on all four sides and 305 mm (12.0 inches on top for proper operation. Due to the IBM 4039 LaserPrinter 12R plus's printing technology, the stationery supplies designed for use with the xerographic copiers should provide satisfactory print quality and feed reliability. Other types of supplies may be suitable for use with the IBM 4039 LaserPrinter 12R plus. It is recommended that the users test any particular brand for suitability to their applications. Refer to the IBM 4039 LaserPrinter 12R plus User's Guide for complete details on stationery supply specifications. Preprinted forms and letterheads should be selected using guidelines found in the IBM 4039 LaserPrinter 12R plus User's Guide. The chemical process used in preprinting may render some papers unsuitable for use with the IBM 4039 LaserPrinter 12R plus. Many transparencies specifically designed for xerographic copy machines may be used with the IBM 4039 LaserPrinter 12R plus. Most labels specifically designed for xerographic copiers or laser printers may be used with the IBM 4039 LaserPrinter 12R plus. Labels should be selected using guidelines found in "IBM LaserPrinter Label and Heavyweight Paper Guide" P/N 1058248. IBM 4039 LaserPrinter 12R plus printable area is limited to within 4.2 mm (0.167 inches) of the top and bottom edge and to within 6.25 mm (0.25 inches) from the left or right edge of the media. Any information placed within this area will not print (except for A4). For A4 paper, the information is adjusted to fit 80 characters per line at 10 characters per inch. The interface selection is made via the IBM 4039 LaserPrinter 12R plus operator panel. IBM 4039 LaserPrinter 12R plus supports the following LAN interfaces. The Duplex Option provides the capability to print and collate double-sided pages through the PostScript Level 1 2 and PCL5 data streams. The Duplex Option comes with a 14" special paper tray that allows duplexing from the standard paper tray location. Due to the design of this tray, input paper capacity is reduced to 130 sheets. This feature is portable and interchangeable with other IBM 4039 LaserPrinter 12R plus. Flash Memory provides the ability to store download fonts and macros, and change the contents as needed. Since there is only one slot available for these features, only one of the features can be used at a time. Each card contains the more popular fonts for the application indicated, i.e., Publications (#9153), 25 fonts, Presentations (#9154), 26 fonts, and Wordprocessing (#9155), 26 fonts. A Font Card Adapter, part number 1325231, feature code 5231, is required to support any of these Scaleable Font Card options. Only one Envelope+ Feeder can be installed on the printer. The Envelope+ Feeder and the Auxiliary Feeder are mutally exclusive of each other. Memory Options extend IBM 4039 LaserPrinter 12R plus user memory. Since there are only two slots available for memory, only two memory cards can be installed at a time. The two available slots include the slot occupied by what has been described as standard for the IBM 4039 LaserPrinter 12R plus. The Integrated Network Option directly attaches the printer to Token-Ring or Ethernet Local Area Networks, using Novell NetWare, AIX OS/2 Lan Server, or Microsoft LAN Manager operating systems. (1) Kit to add NT and Apple TokenTalk**/Ethertalk** to feature code 5495, 5496, and 5497 built prior to 11/29/93. Note. LocalTalk cables are not included with the Localtalk Integrated Network Adapter (INA).